Little Halden Farms luxury Glamping in Kent the Garden Of England currently houses a fantastic 20ft Yurt and 14ft Yurt, an amazing Safari Tent and our unique Hopper Huts. 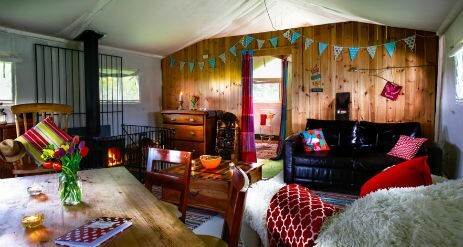 In addition to this we also have a new area for summer camping running from the end of July. 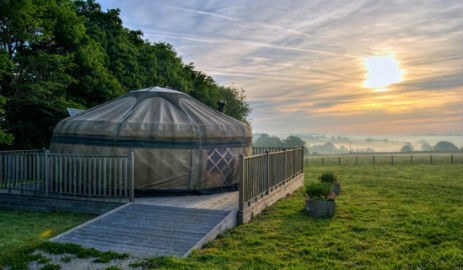 Set in an area of outstanding beauty the Glamping site is set well back from the lane entrance and provides stunning views towards Tenterden. The site situated on the Kent, Sussex border offers peaceful surroundings set between an exclusive woodland. 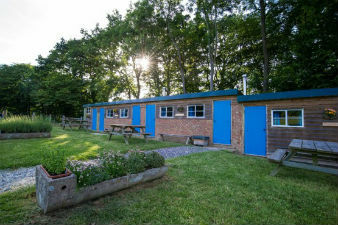 With seven accommodation units and somewhere where your not packed in like sardines and with loads of space come and stay at Little Halden Farm. Rolvenden is only a 30 minute walk from the summer campsite with its well stocked shop and pubs or you can take a short drive to the historic Kent town of Tenterden. 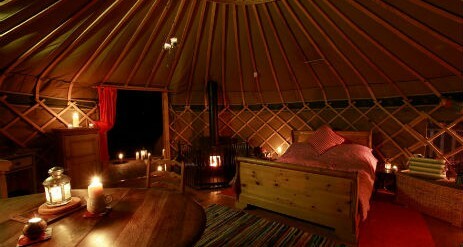 Our 20ft Yurt is for an unforgettable stay in a beautiful setting. In the Yurt you will find all the comforts of home with the additional magic of be able to see the stars as you drift off to sleep. 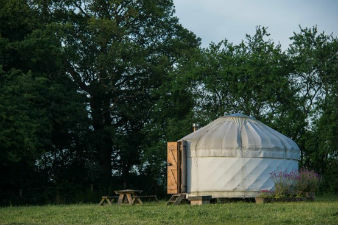 The Yurt is set on a raised deck so that even in wet weather you can enjoy the views as soon as the skies clear with outside seating and tables. 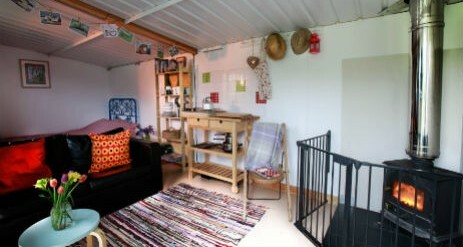 Also on the same deck is a 10ft Yurt which can be used as an extra bedroom, ideal for teenagers wanting their own space. 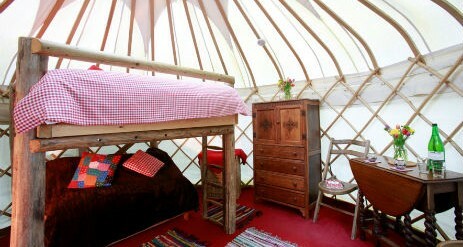 Double bed in the 20ft Yurt with all linen provided, duvet etc. Our 14 ft Yurt has all the great features of our 20 ft which includes a wood stove, gas hob double bed and of course your very own fire pit where you can BBQ or just sit round and enjoy the view. We think you’ll be surprised how cosy and comfortable it is! Double bed with linen, duvet etc. 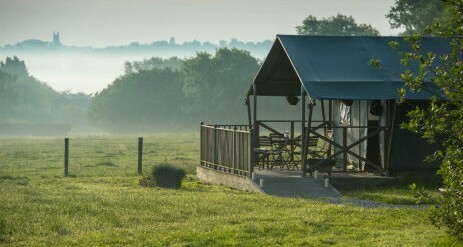 Our 11m x 6m Safari Tent provides a great under canvas experience with plenty of space, wooden floor and a good level of comfort so as to make your stay a special time. The tent is set on a raised deck that combines well with the tents porch feature. The front of the tent opens right out creating an amazing space to make your stay even more special. Outside seating and tables are available. Double bed with all linen provided, duvet etc. Our Hopper Huts are great comfy and cosy accommodation, they have all the luxuries of our other structures like a double bed, wood stove, 3 ring gas stove and all the other things to make coming away an easy experience so you only need to bring what you want to wear and eat. 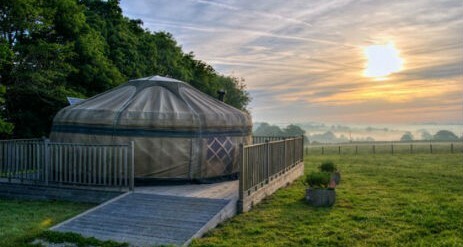 You will of course be able to have a camp fire and enjoy the amazing view towards Tenterden. The Huts catch the sun from first thing in the morning to late afternoon, with a fully insulated roof they are cool in the summer and warm in the winter, a great choice especially if your coming away with friends. All our Hopper Huts are named after varieties of Hop! Our summer campsite is also set well back from the main road in a valley between woodland. We limit the number of pitches so no one needs to be on top of each other and in the six acre field you will be able to find that perfect pitch with the added bonus of being able to have a campfire and parking right next to where you pitch. Our Summer Campsite will be open for you to bring your own tents from end of July.